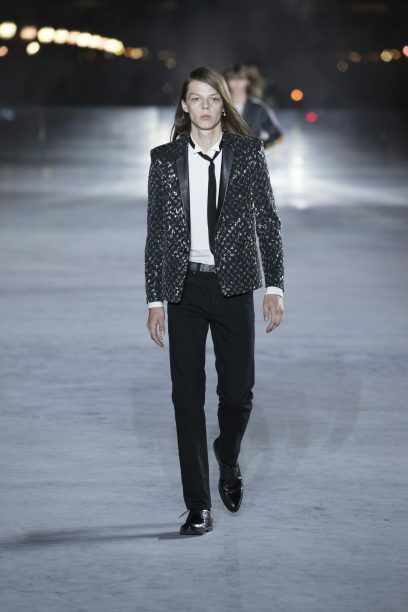 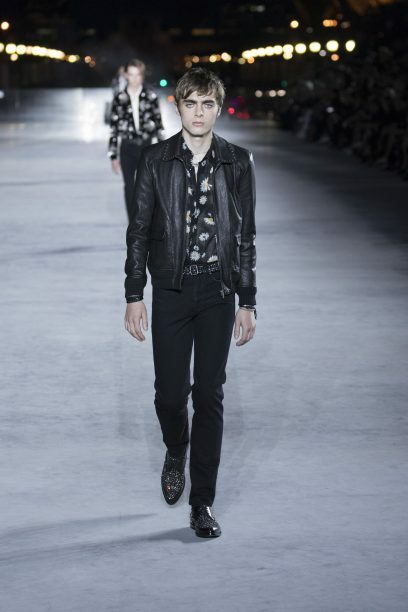 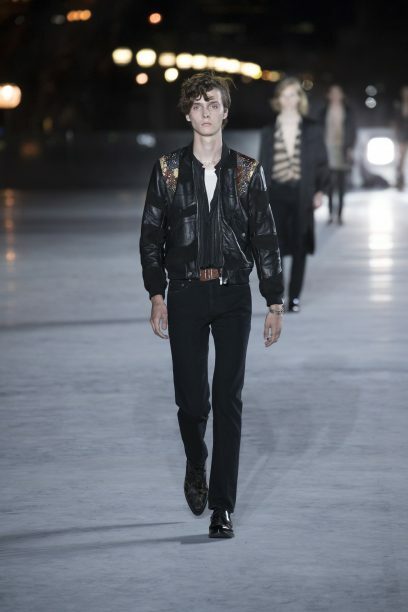 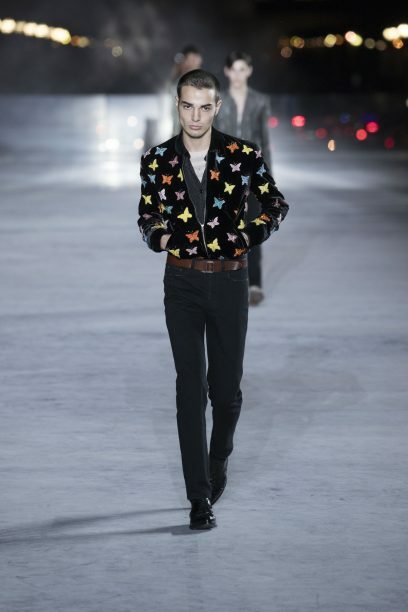 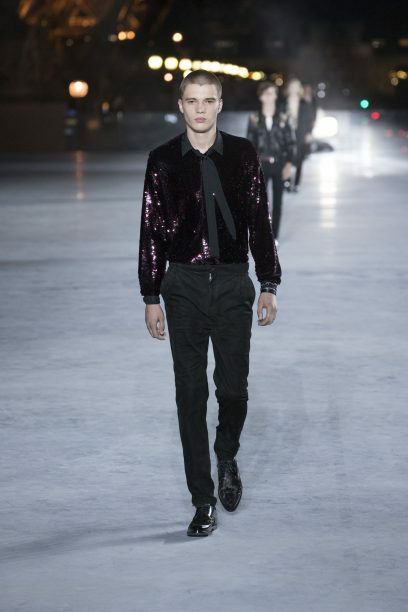 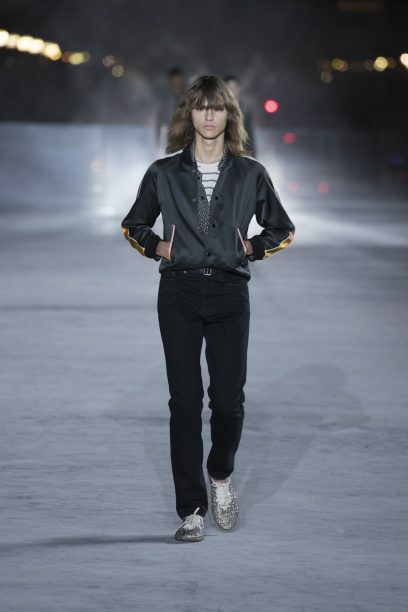 Anthony Vaccarello unveiled a dazzling collection for Saint Laurent SS18 set under the sparkling Eiffel Tower. 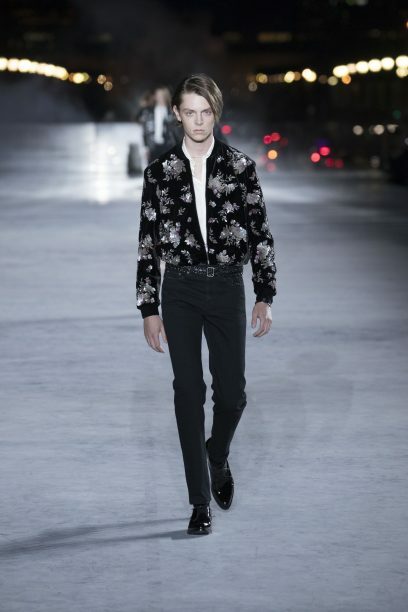 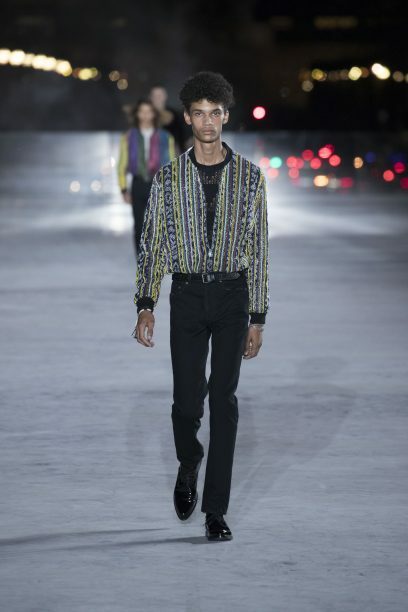 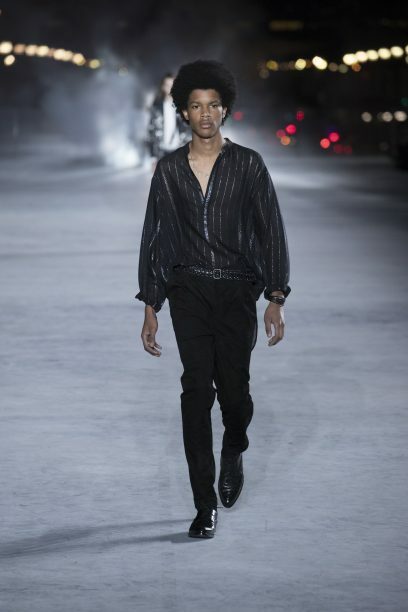 It is his second offering for the Spring/Summer and there are no signs of his daring signature fading with bold silhouettes, wild feather boots and contemporary take on evening wear. 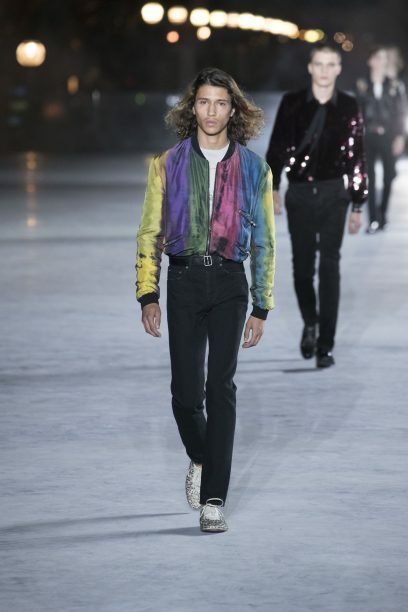 Despite certain level of flamboyancy, this felt like his most wearable collection to date with a strong focus on elevated shorts. 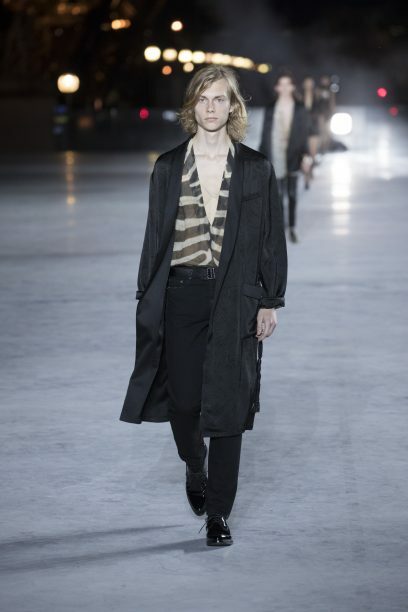 Vaccarello is determined to mix up uber-luxe versions of clothes girls want to wear every day and then give them a kind of hard romanticism, a perfect balance between tender and toughness. 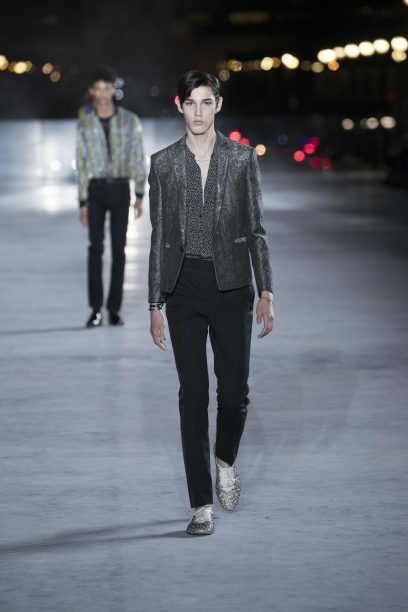 The cocktail dresses were swapped for structured rompers in opulent fabrics, while gold paneled blazers were dressed down with khaki shorts. 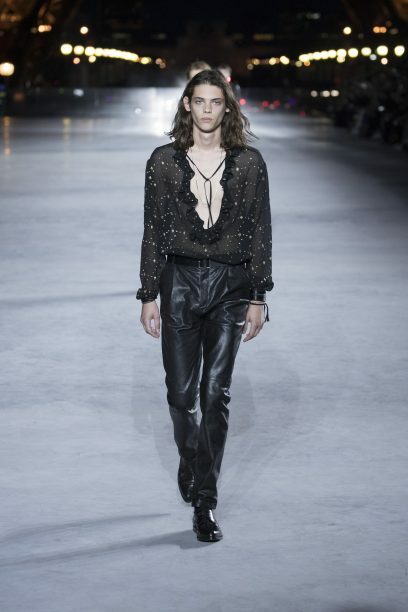 There were some more indulgent evening pieces such as feather trim gowns and sequin balloon mini dresses modelled on Kaia Gerber and Anja Rubik. 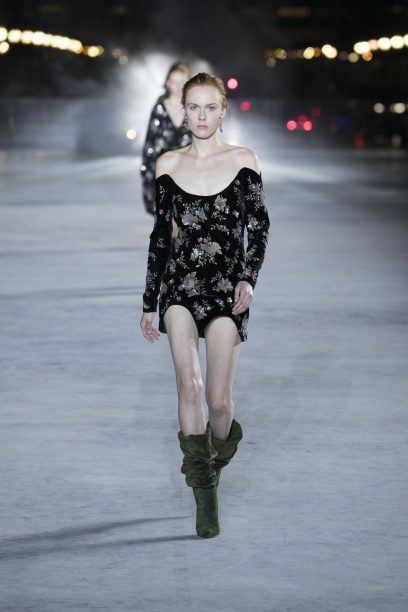 There are plenty individual pieces to entice shoppers with such as print one shoulder mini dresses, sheer high neck tops, stone wash white shirts and chandelier earrings. 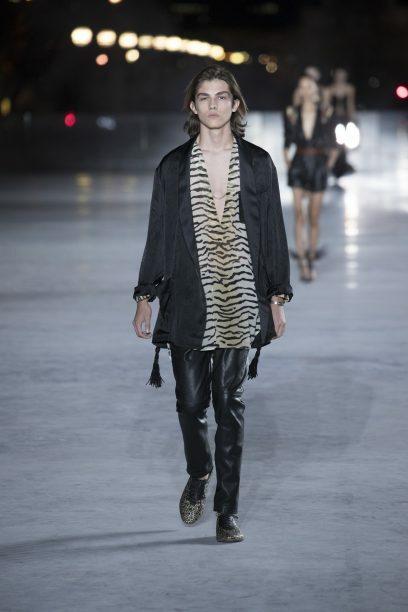 A few might even take to the zebra print sequin top styled with a black mini skirt. 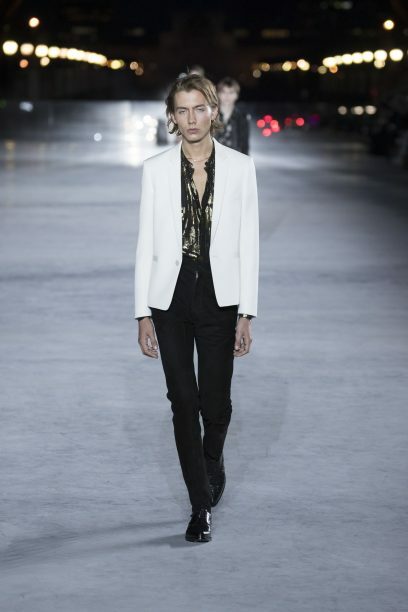 Some may not dare to dress head to toe in the more couture-style pieces including the edgy bridal ensemble, but there are plenty of separates to create your own Saint Laurent uniform.